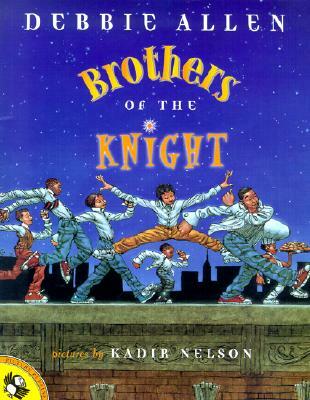 Debbie Allen's contemporary retelling of the classic tale The Twelve Dancing Princesses with illustrations from Kadir Nelson! Reverend Knight can't understand why his twelve sons' sneakers are torn to threads each and every morning, and the boys aren't talking. They know their all-night dancing wouldn't fit with their father's image in the community. Maybe Sunday, a pretty new nanny with a knack for getting to the bottom of household mysteries, can crack the case. This modern, hip retelling of the classic tale The Twelve Dancing Princesses bursts with vibrant artwork and text that's as energetic as the twelve toe-tapping Knight brothers themselves. Kadir Nelson, New York Times bestselling author and two-time Caldecott Honor winner lives in San Diego, California.